I don't have the opportunity to travel to other countries to try the food so when the food comes close I like to enjoy it. The staff here is excellent and the food was great. It was a great dining experience. Nice ambiance, delicious dishes, creative cocktails, good friendly service. Will make this place a habit! We were limited on time we had to eat and make it to our event, but our food came out quickly and was delicious! Awesome food! Knowledgeable staff. Great spot for lunch, dinner or happy hour! One of my new favorites in Kansas City. Fun and eclectic winner! 10/10 recommended will come back. A little noisey but still extremely enjoyable. Waitress missed a drink to the table. Food and service were great otherwise. Delicious is always! 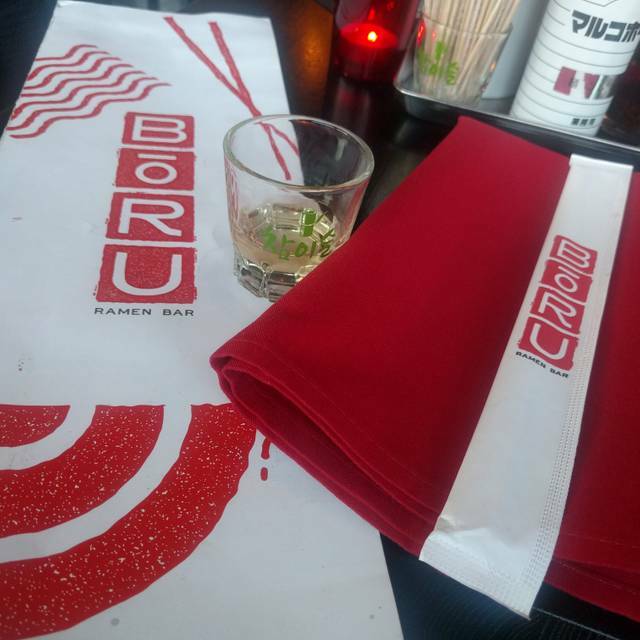 Great service amazing food always a good time at Boru. The food was fantastic, and the servers and atmosphere is great, not to small or large a space, not too noisy or quiet, very cool, and great location. But that food, wow. I have a whole new perception and appreciation of ramen. And it must be the best stocked bar in town for Asian whiskeys and beers. Wife and I were impressed and surprised. Will go back with friends. I might have to stop in sometime by myself, like for lunch, and sit at the bar for more of that ramen, and maybe some Soju. It is a different food venue but fun...waitress was very helpful with menu translation. We booked a table for 6 on a Saturday evening at 5 pm. We had heard about the Happy Hour. 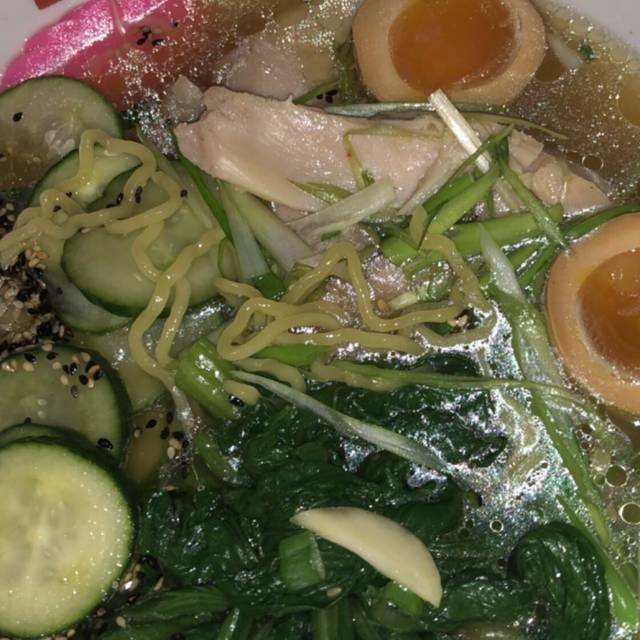 This was our first visit to Boru Ramen and our server Michael made our visit memorable. He was knowledgeable and very delightful in helping us make selections for first timers. I think we tried all the appetizers and several of the very creative Happy Hour drinks. We ordered 3 kinds of ramen bowls and ended with the tiramisu and maybe an extra flan! It was fun and we all agree on a return visit. Birthday for my 9 year old daughter. She loves this place. There are so many TVs for such s small restaurant. Most of the TVs were playing old music videos, which was very distracting. It kind of felt like I was in a throwback or arcade bar, not at a nice dinner. Awesome food and awesome drinks as usual! 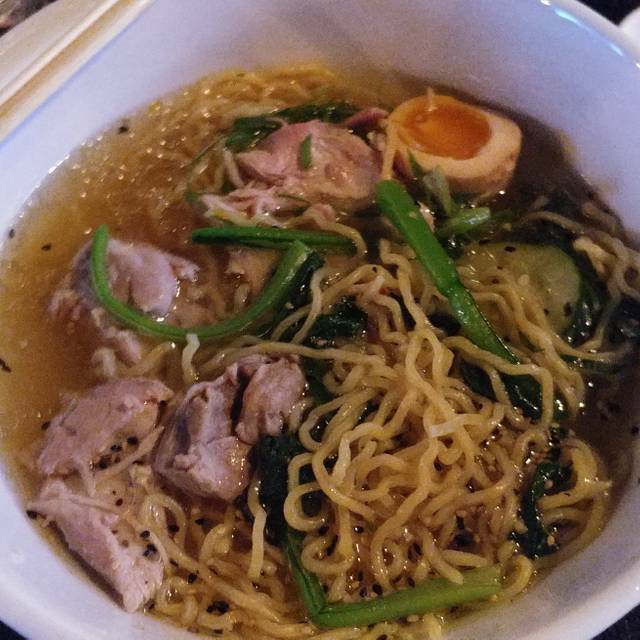 Decent place, food was good but not the best ramen I’ve ever had. 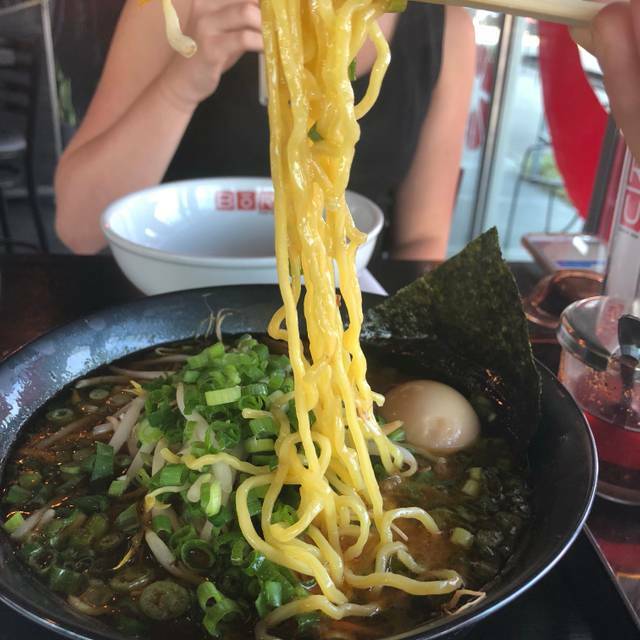 The Ramen Bowls were very good and big. They now have Bento Boxes which were excellent and priced right. Good quality food and a fun atmosphere. A lot of choices to mix and match a lunch. Very yummy! Our service was amazing and they catered to my special dietary needs!! Patrick. (Our server) was very helpful with my friend and recommendations for an entree due to dental work he had done. Was not overly pushy with service. Our first visit was for restaurant week and we loved it!! Great flavorful taste! The fries are amazing. Like a Japanese take on poutine. Visited for birthday lunch during KC Restaurant Week. Tried three different items, all were delicious! Boru 2.0 with pork was good, Spicy Miso was fairly spicy, but delicious, and Curry Beef had a nice, subtle curry flavor with fat udon noodles. With potatoes and slightly sweet, well-cooked carrots and gravy, seemed like a homemade pot roast dish with lots of beef. Dessert, definitely choose the Chocolate Caramel Tart. Amazing crust, chocolate and caramel conflagration! The Custard was fine, but plain next to the other. Will definitely return! Food was decent not spectacular. Waitress had friends at adjacent table so she stood there most of the evening with her back to us talking loudly with her buddies. Not very professional! This place is quickly becoming a favorite of ours! Our waiter, Javier, recommended the drink Samurai 75, and my husband had the Bruce Lee (also recommended), and both were delicious! Our meals were also fantastic. Javier provided excellent service as well. Great night out! 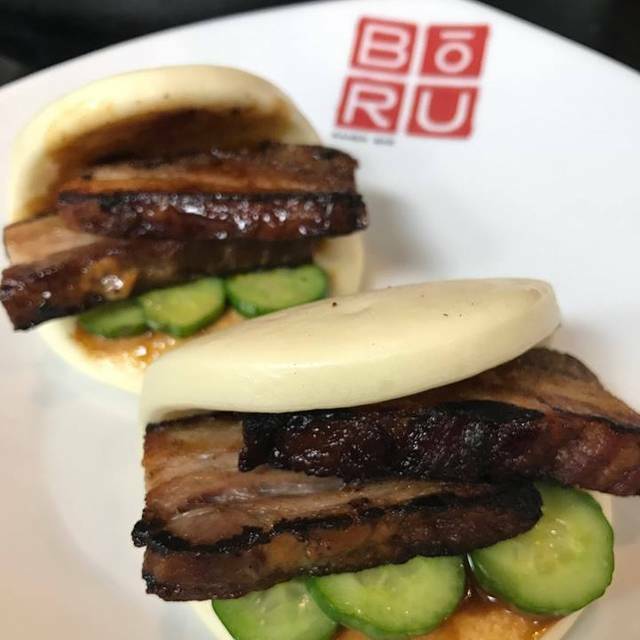 As always I had a delish meal at Boru. The food was wonderful and came to the table promptly. The server was friendly and helpful, but not overwhelming. My only annoyance was the volume of the music and the number of TVs in the place. Other than that, it is awesome! Music is TOO loud. Can’t have a conversation with the people at your table. Waiter was nice but food takes forever! It’s taken forever every time we’ve gone so I think it’s the norm. I really wanted this restaurant to be great. We had some amazing bites of food, but we also had a few terrible bites. We had the Shishito Peppers to start. Some bites were amazing, but some were so salty we could barely swallow. We also had the Bulgogi wraps; two were great, one had one big gristly piece of meat. Then we had the Korean Ramen. For the most part is was flavorful and good, but our pork belly had cartilage in it, which pork belly should not have. It appears that while the flavors are there, the consistency and the meat needs some work. Excellent authentic food with a diverse drink menu. We’ve been numerous times and this was not a good experience. The waitress took 15 min to get our order. She forgot our appetizer and brought it after our meal. And they put the chili bomb in the wrong ramen. If you go ask for Debbie. Best service and the food is incredible. First time at Boru. Really enjoyed it. Food was very good and Stephanie our server was great! My only neg was the restaurant so was too dark and menus were hard to read when lights were down that low. But, thanks to phone I could shine my light and read. Other than the lack of light our group had a great experience. Choice of music was great as well. Thanks Boru and Stephanie. See you next time. My only complaint is really w/mgr?? (female, older, long dark blonde straight hair).. Otherwise my rating would be a 5, because I love this place! We had reservations, the hostess told me to go ahead & sit down after I checked in, so she could grab us menus as she had none at the front. As I was seating myself, the older lady/mgr abruptly came over and asked of I had a reservation.. I told her yes and the hostess told me to sit down. Her response was less than thrilling and she said "We're really tight on reservations" & walked away...WOW.. No apology.. Never saw her again the whole evening.. I even told my gf about it & we felt rushed to get up from our dinner so they could have the table..
Our server (she had a gold festive hairdo) was awesome and knowledgable about the menu helping my friend with her choices and making recommendations to her.. She was much more friendlier & welcoming.. I've always made reservations everytime I've been there but this time was a first feeling unwelcome by the mgr..
We like Boru. The food is more Japanese/Korean themed, than authentic, but it is good and we always leave full with leftovers for more meals to come. One of my family's top of the list go to places in KC. Always good service and the kitchen does an outstanding performance. 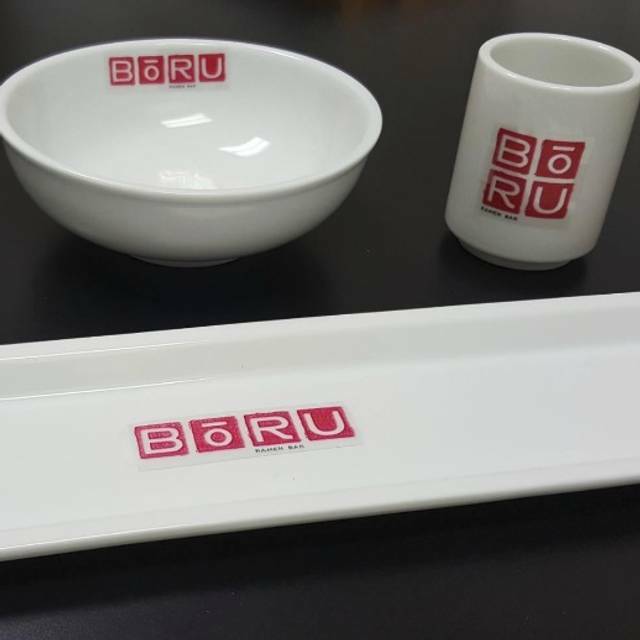 Boru never disappoints! Everything, from the service and appetizers to the main dishes and cocktails, is always perfection.